The Gippsland zone is vast, about a quarter of the total area of the state of Victoria. The scale of viticulture is miniscule, with the entirety of Gippsland production being about 1% that of neighbouring Yarra Valley. Because the scale is so small there are no more specific GIs than the zone, though there are some patches making really interesting wines. In total, there are only about 100 vineyards and 30 family-owned wineries. 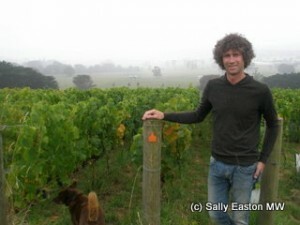 The biggest vineyard in South Gippsland is Bellvale‘s 18 hectares, not far from Leongatha. The region is right on-trend with its cool climate locale. Using Pirie’s revised GST index, tracts of Gippsland fall into cool climate territory, especially the south where the influence of the Bass Strait and its onshore winds is notable. But higher rainfall makes this a region of persistent disease pressure. Minimum divisions might be south, west and east. East Gippsland is some three and more hours’ drive from Melbourne, rather than the hour and a half to the western end. On the crow-flying scale it’s more than 200km from west to east. The western boundary is more than accessible, bordering the south east boundary of the Yarra Valley. Bill Downie, recently settled in west Gippsland with his own 0.4 hectare vineyard of pinot noir, said it takes him an hour and ten minutes to get to the Yarra, where he also works, and an hour and a half to the airport, on the far side of Melbourne. Having grown up just half an hour from his property, Downie’s long had his eye on this patch of dirt. He said “the red volcanic soils are quite deep, and well structured, which is very good for root penetration.” And, he added “the rainfall and red soil give more red fruit”. His is one of just 14 vineyards in the whole of west Gippsland, which is, so far, better known as lush, gentle dairy country. Equally well known as great dairy country is south Gippsland, along with its even more plentiful annual rainfall of 900 to 1,200mm. South Gippsland is the most southerly vineyard area on the mainland, pretty much fully exposed to the winds and rains from the Bass Strait. 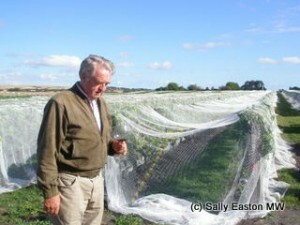 Indeed at Phillip Island winery, they grow their vines inside a permanent windbreak of shade cloth. More importantly for nascent wine production, said Rick Lacey, of Purple Hen winery, is that “the quality of winemaking has caught up with the quality of fruit” which should mean increasingly interesting wines coming through in the immediate term. It is in such a young region that experimentation is very much the name of the game, planting bits of everything to see what might do well. Grape varieties planted include chardonnay, pinot gris, riesling and semillon on the whites, plus cabernet franc, cabernet sauvignon, merlot, pinot noir, tempranillo and shiraz on the red front. But as cool climate flag-bearers, chardonnay and pinot noir are creating the biggest stir. And even in an area still finding its feet, experimentation with the new wave, lean Aussie chardonnay style is gaining traction, with producers such as Lithostylis and Waratah Hills Chardonnays showing such direct purity of fruit. Experimentation is also order of the day for pinot noir, with styles varying from the bright, perfumed sweet fruit with light-ish tannins as at Djinta Djinta and Purple Hen, through to more big-shouldered, spicy styles, such as at Bellvale and Lucinda Estate. Surely though, the man who introduced South Gippsland, indeed Gippsland, to the modern viticultural map, is Phillip Jones, who established Bass Phillip in the south, in 1979, planting four hectares of Bordeaux varieties in “the proportions of Château Ducru Beaucaillou, plus 3 rows of pinot noir” because he’d been looking for a site that had the same climatic data as Bordeaux. At the time, he was the only one planting grapes. But Jones said “cabernet sauvignon ripens in May, after the break” in the autumn weather, which meant it rarely ripened properly. 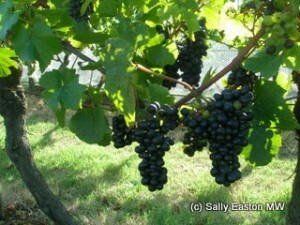 Earlier ripening pinot noir was more successful. All the cabernet sauvignon was ripped up within a few years. Cool climate it is, then, and the reputation of Jones’ pinot noirs have been written in the stone of the Langton’s classification since its third issue of 2000. That has to be good aspirational material for the new wave of producers. My visit to Australia in February 2012 was sponsored by Wine Australia.